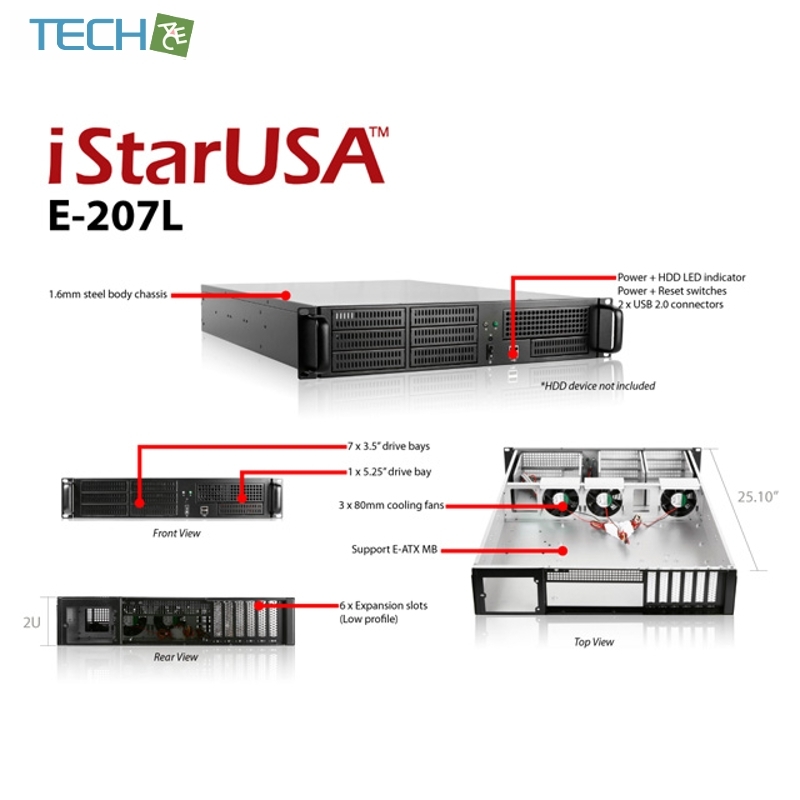 iStarUSA E-207L rackmount chassis is designed with seven 3.5" drive bays. 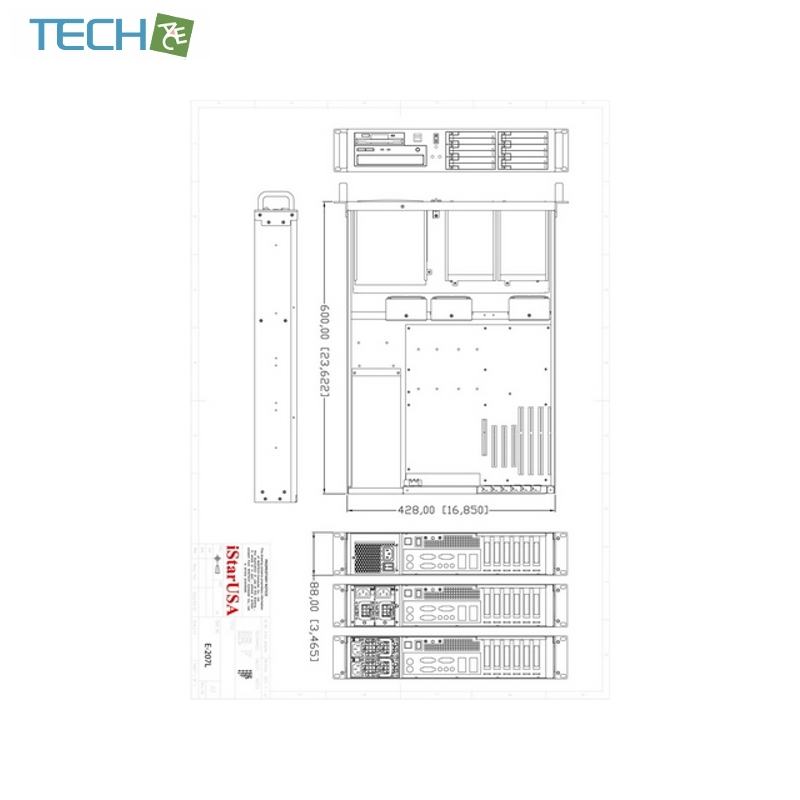 Combined with iStarUSA BPU-2535 2.5" to 3.5" HDD cages, the chassis can provide up to fourteen 2.5" hard drives or SSDs capability for any RAID configuration. Three 80mm fans are equipped with E-207L to provide the excellent air ventilation preventing critical equipment from heat damage. E-207L also supports E-ATX motherboard and redundant power supply to provide maximum reliability and performance for server applications. Dimensions (WxHxD) 19.00" x 3.50" x 25.10"